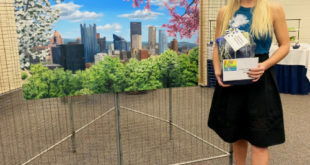 Local design firm, ocreations, has had a long-standing relationship with VisitPITTSBURGH in their collaborative effort to promote tourism of the Pittsburgh area. Recently tasked with design of the 2016 Official Visitors Guide, ocreations focused on Pittsburgh’s Bicentennial, using textured imagery in an effort to pair the old with the new. ocreations is a Pittsburgh-based design firm offering customized graphic design and marketing solutions to a variety of clients nationwide. Their-award winning team of experts can provide creative options for branding, logo design, complete website design, programming, SEO, web mail, print products and promotions, audio/video production, signage, packaging, outdoor advertising and more. VisitPITTSBURGH is the official tourism promotion agency for Allegheny County. Established in 1935, is dedicated to generating convention, trade show and leisure travel business for the Pittsburgh region. VisitPITTSBURGH is a non-profit organization serving its business membership.